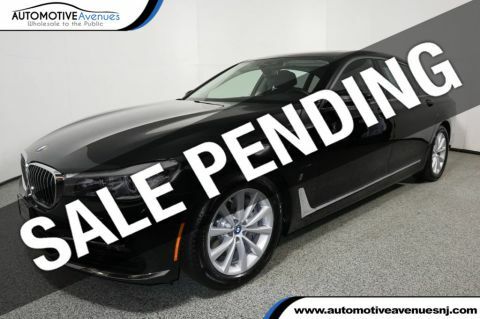 JUST ARRIVED IS THIS FACTORY FRESH ONE OWNER NON SMOKER NO ACCIDENT 2017 BMW 740i M-SPORT. 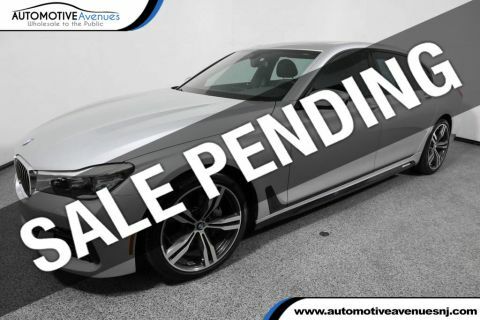 THIS 7 SERIES HAS ONLY 12,426 MILES ON IT, AND IS STILL COVERED UNDER THE BALANCE OF THE BUMPER TO BUMPER FACTORY WARRANTY UNTIL SEPTEMBER 2020 OR 50,000 MILES, WHICHEVER COMES FIRST! 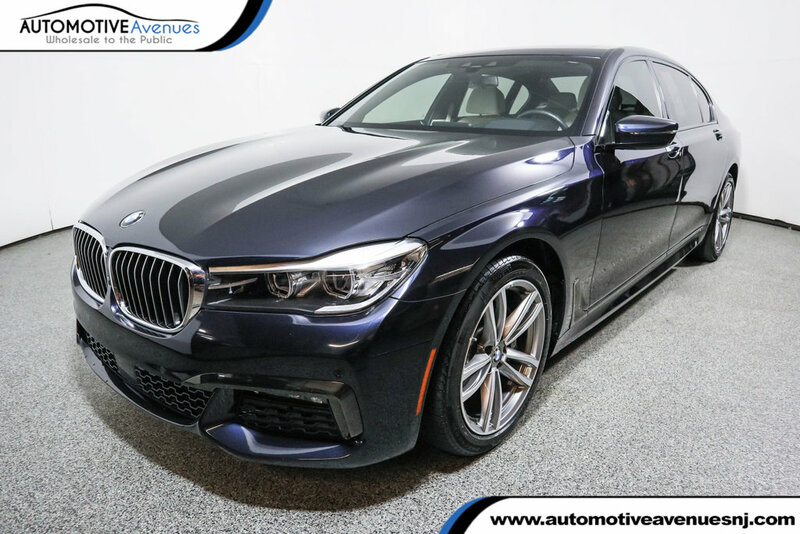 THIS LIKE-NEW 740i COMES VERY WELL EQUIPPED WITH DESIRABLE FEATURES SUCH AS M-SPORT PACKAGE, DRIVING ASSISTANCE PLUS, AND DRIVING ASSISTANCE PLUS II PACKAGES, PANORAMIC SUNROOF, FACTORY NAVIGATION, 360-VIEW CAMERA, HEATED AND COOLED LEATHER SEATS, POWER REAR SUNSHADES, HEADS-UP DISPLAY, HARMON KARDON PREMIUM AUDIO SYSTEM, AND SO MUCH MORE! WHY BUY NEW WHEN WE HAVE THIS 12,000 MILE 740i AVAILABLE FOR MORE THAN $47,000 OFF THE PRICE OF A BRAND NEW ONE! 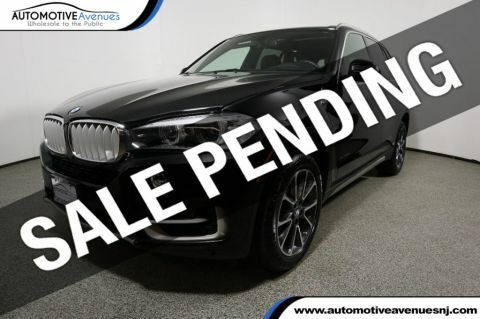 Please note that back in June, BMW North America reacquired this vehicle due to a customer complaint of the vehicle running rough and sputtering. BMW made all the necessary repairs and adjustments under warranty and the issue no longer exists. Regardless, in the interest of customer satisfaction, BMW agreed to repurchase the vehicle. There are no issues with the vehicle and the factory warranty is still in effect until 50,000 miles! Want even more coverage, we can extend the warranty an additional 100,000 miles! 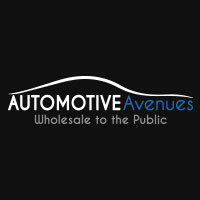 Buy with 100% confidence from New Jersey's largest independent used car dealer. Don't hesitate or you will surely miss out! ONLY 12K MILES! $95,395 MSRP! 1OWNER NON SMOKER NO ACCIDENTS FACTORY WARRANTY!